This model was developed with the input of ambassador and seven-time PGA Tour winner Matt Kuchar, and introduces a number of new innovations and technologies. “We work closely with our elite athletes to build innovative footwear and Matt’s insight will help infuse our existing award-winning technologies into our golf offerings,” Rick Higgins, Skecher’s vice president of marketing, told GM. The Skechers Go Golf Pro combines a classic design with waterproof leather uppers and Skechers unique Resalyte shock absorbing midsoles that enhance comfort. Perforation detailing makes it more breathable, while replaceable Pulsar cleats from Softspikes provide stability and traction. 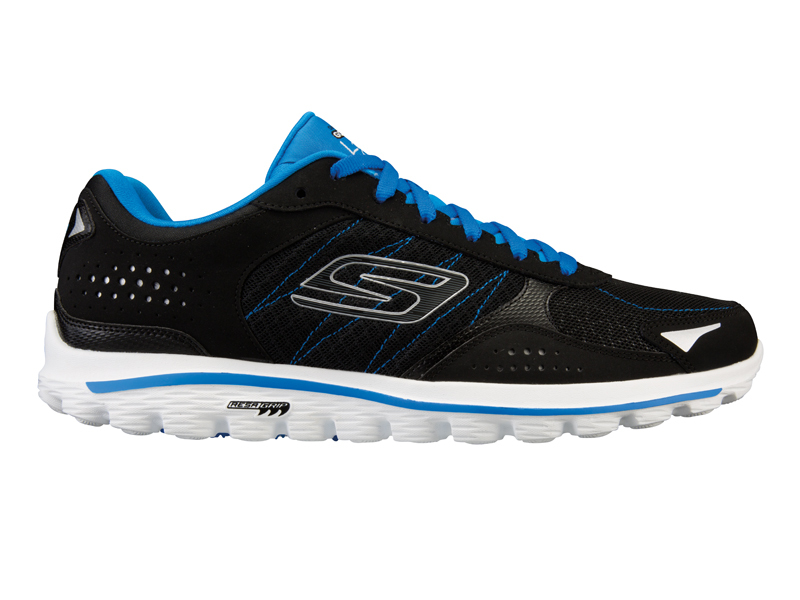 The Skechers Go Golf Pro will retail at £119. Joining the Skechers Go Golf Pro is the spikeless Skechers Go Golf Tour, which features an engineered mesh upper that creates a shoe that weighs just 283g (men’s size 9). Despite its light weight, it is still waterproof, while the use of seamless technology and a padded collar and tongue increase comfort. 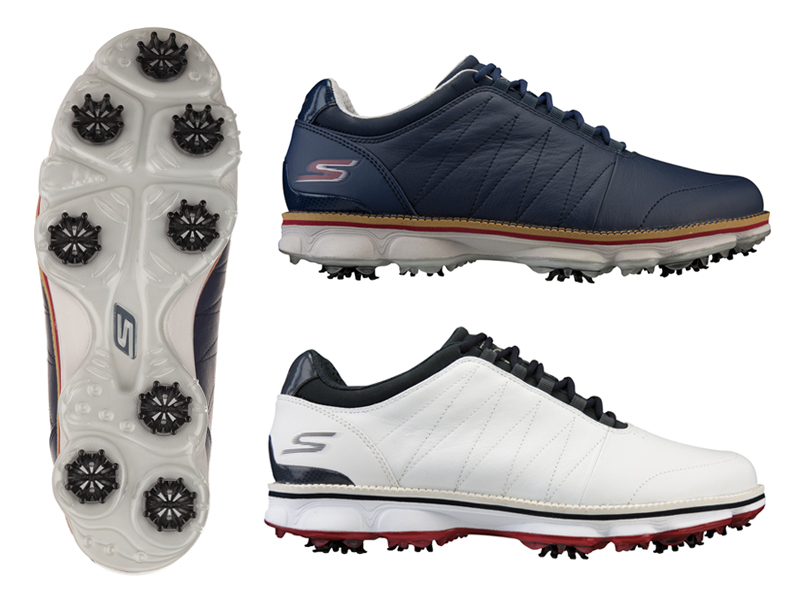 Like Matt Kuchar’s Go Golf Pro model, the Skechers Go Golf Tour also features Resalyte midsole cushioning, with Dri-Lex moisture management keeping your feet cool and dry inside the shoe. A low profile design helps promote better stability, while small, flexible cleats are versatile and give you balance feedback through the sole. 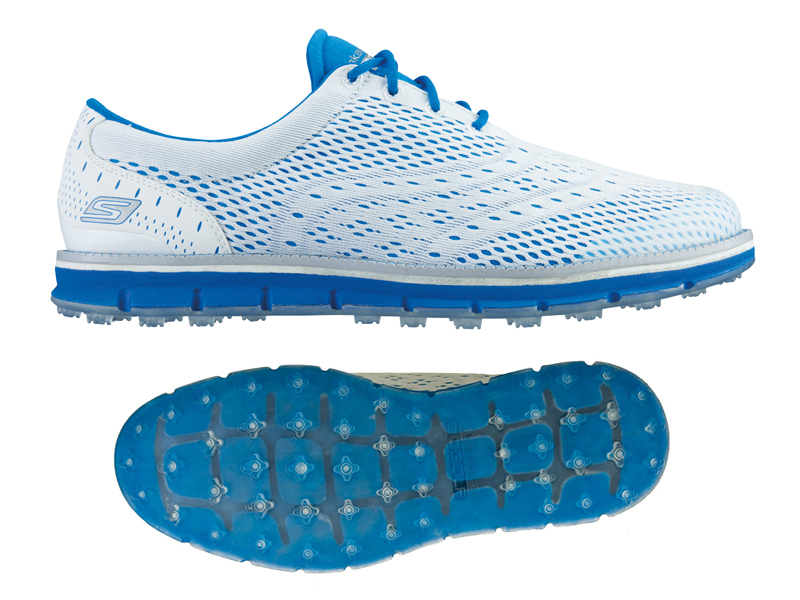 The Skechers Go Golf Tour will retail at £109. Another spikeless addition is the Skechers Gowalk 2 Lynx, which combines lightweight athletic materials with Skechers’ high-rebound cushioning insole. Made in two lightweight designs – one fully waterproof (£89) and one water-resistant (£69) – the Gowalk 2 Lynx also features a uniquely angled outsole that complements your natural walking gait to promote a fluid stride transition. Resalyte midsole cushioning again has memory-foam like retention to make walking more comfortable, while an anti-microbial sockliner inhibits odour and prevents slipping so you can golf sockless in the summer.